Stay tuned for details of upcoming events in 2019. Visit our While You Wait page for details of classes led by UK teachers. We are thrilled to announce that Dancehall Origins will host the incredible Kimiko Versatile at Impact Dance Escape Holiday 2019! Taking place 16-23 May on the stunning island of Fuerteventura, Escape is a dance holiday like no other. 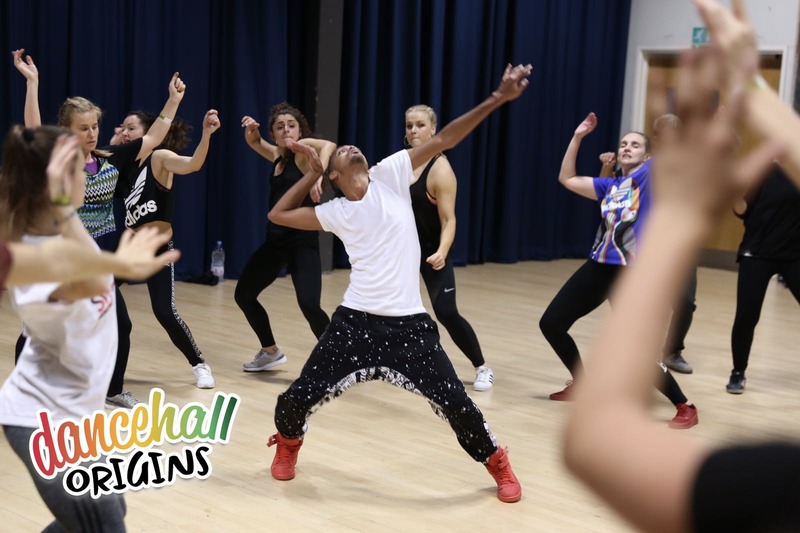 Hosted at the Las Playitas Golf and Spa Resort, the programme features 24+ classes ranging from Hip Hop, to Dancehall, to African Dance led by some of the UK’s best teachers. 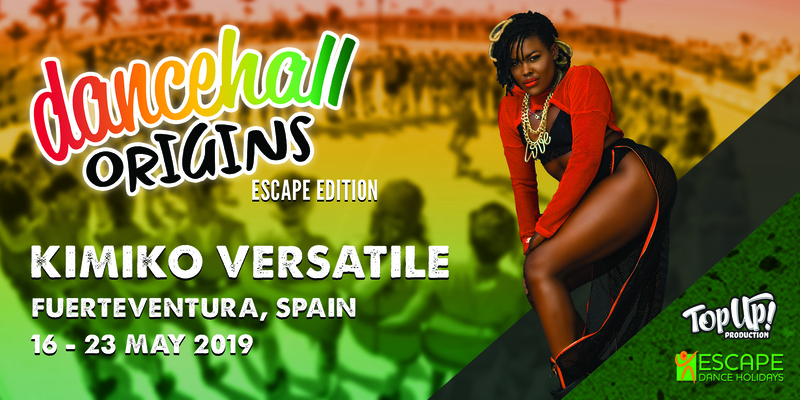 For the first time, DHO will bring a renowned Jamaican artist to Escape, to lead Dancehall sessions and bring the 876 flavour to Las Playitas! 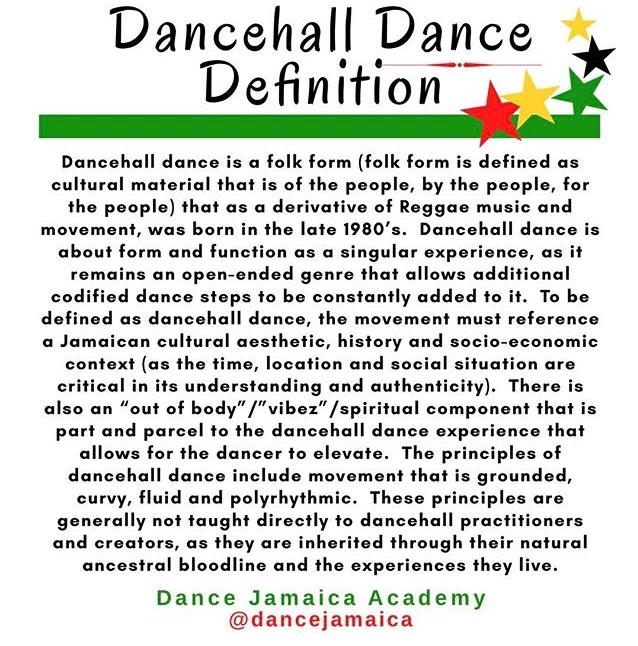 To answer this question, we are sharing with you the Dancehall Dance Definition (below) from Dance Jamaica Academy – based in Kingston, Jamaica. This serves as a good introduction to the principles and key features of Dancehall. 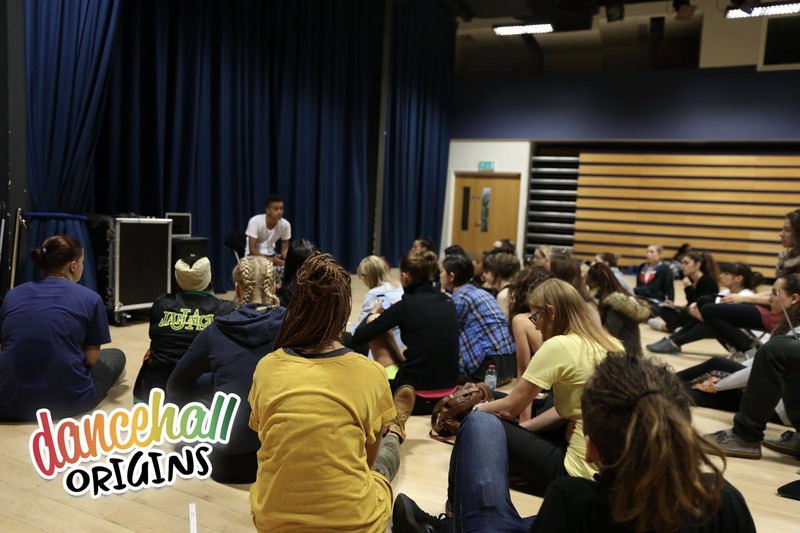 Here at Dancehall Origins, we would always encourage those who are interested in Dancehall to conduct their own research and, of course, to attend our events where Jamaican artists give their own unique insight into the history, dance and culture of Dancehall through workshops, lectures and panel discussions. 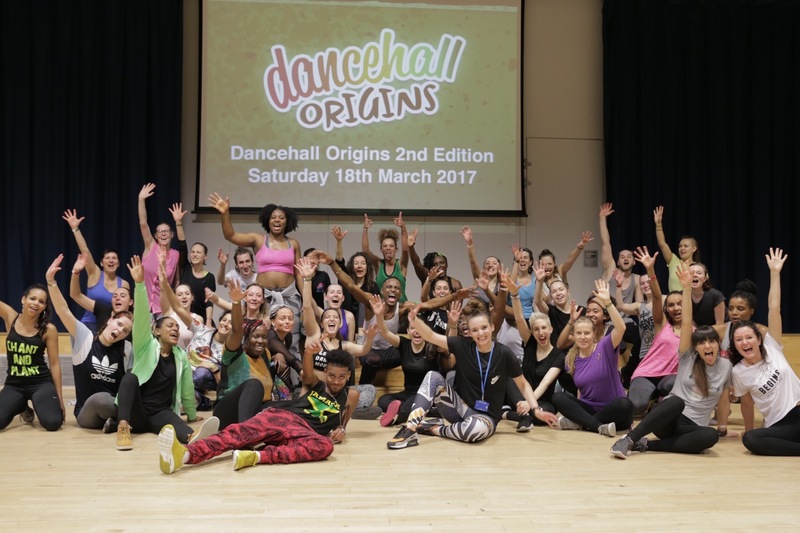 Since our first event in October 2016, Dancehall Origins has been honoured to invite seven world renowned artists from Jamaica to lead workshops and lectures here in the UK. 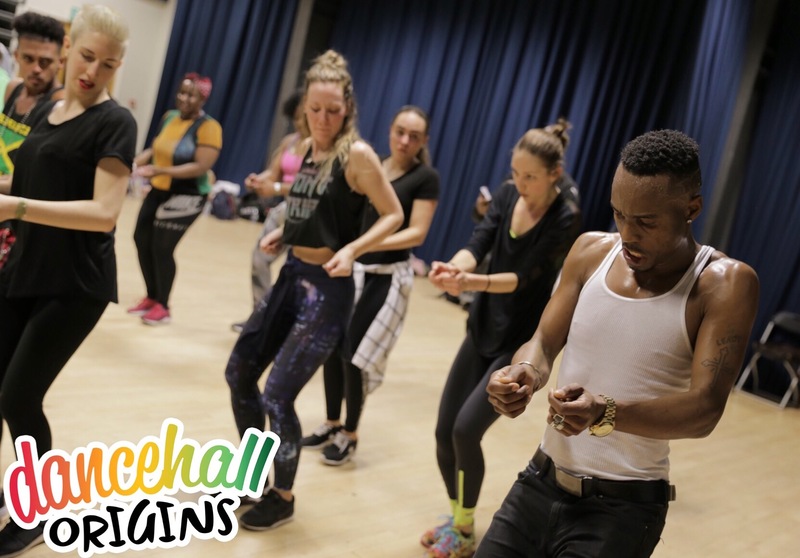 Dancehall Origins 4th Edition in March 2018 was the first time Orville ‘Xpressionz’ Hall had taught in the UK. 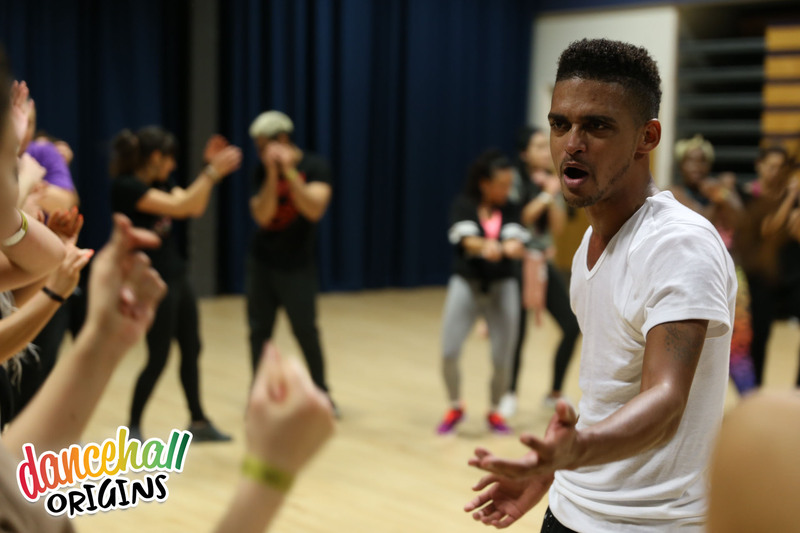 He is the Artistic Director for Theatre Xpressionz, the professional company that operates the popular dance group Dance Xpressionz and Xpressive Moves dance workshops. Orville has also been the Chief Judge for Jamaica’s number one dance programme Dancing Dynamite for the past 7 seasons. A graduate of Exd Community College, he holds an Associate Degree in Performing Arts. 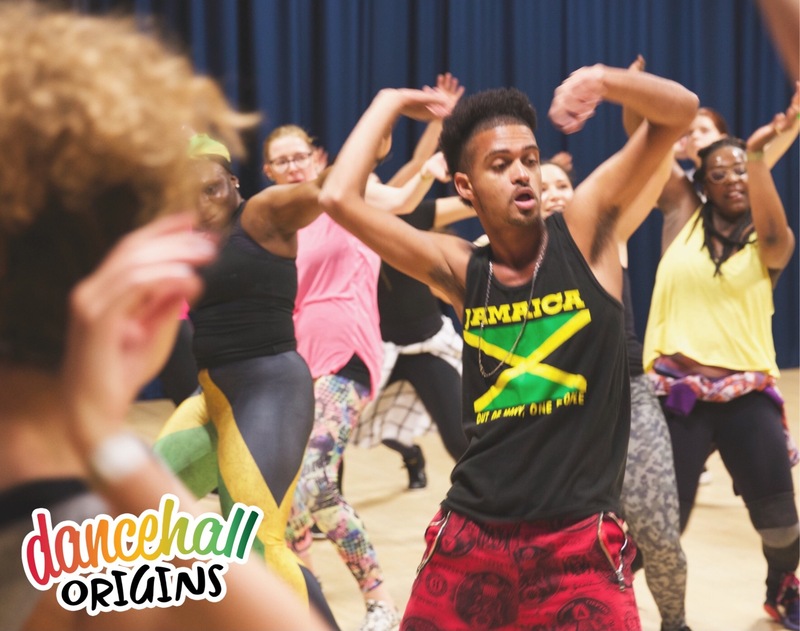 Orville Hall has placed his name in the history books, having written the Dancehall course for the college – the first in any institution in the Caribbean. This was achieved with the assistance of legends Patsy Ricketts and Kenny Salmon. Today, Orville Xpressionz is one the chief choreographers of music videos and corporate functions in Jamaica, working with such names as Shaggy, Sean Paul, Beenie Man, Sean Kingston, Jimmy Cliff, Rick Rock and Mr Vegas, RDX – to name a few. 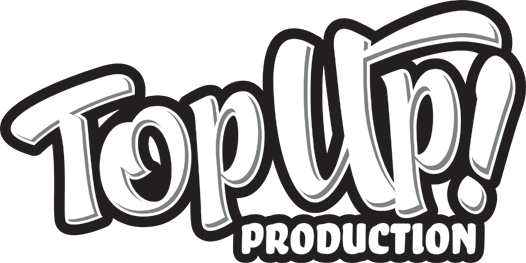 In relation to all this, Mr Xpressionz, Villa X, Sir Orville or Professor as he is also affectionately known, has appeared in over 15 commercial stage plays, written poems, plays and video scripts all on a professional level. He still finds time to tour the world teaching and lecturing about Dancehall. Truly multi-talented in every sense of the word Orville Hall is a true pioneer. Check out the Dance Xpressionz YouTube channel here. 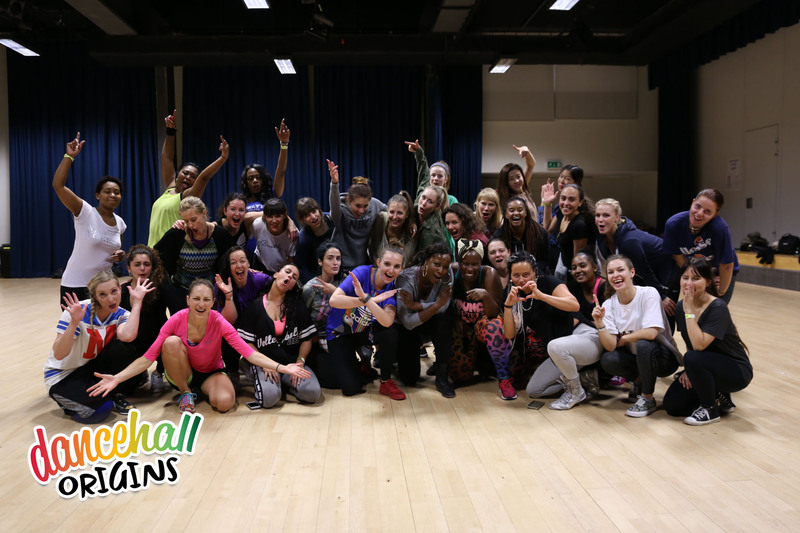 Dancehall Origins 1st Edition in October 2016 was the first time Shelly Xpressionz had taught in the UK. The First Lady returned to London for our 4th Edition, March 2018. Shelly-Ann Callum is a founding member, principal dancer and choreographer for her company Dance Xpressionz – formed over 16 years ago in Kingston, Jamaica. Holder of an Associate degree in Performing Arts (majoring in dance), Shelly taught at a high school for six years before committing to performing full time. Shelly Xpressionz has worked with key artists including: Shaggy, Rick Rock, Mr. Vegas, T.O.K, Beenie Man, Bounty Killa, Baby Cham, RDX and Spice. In 2010, Shelly was appointed Operations Manager for Dance Xpressionz. She is also an original member of #teamSpice, undertaking promotion and overseas tours for the artist Spice. 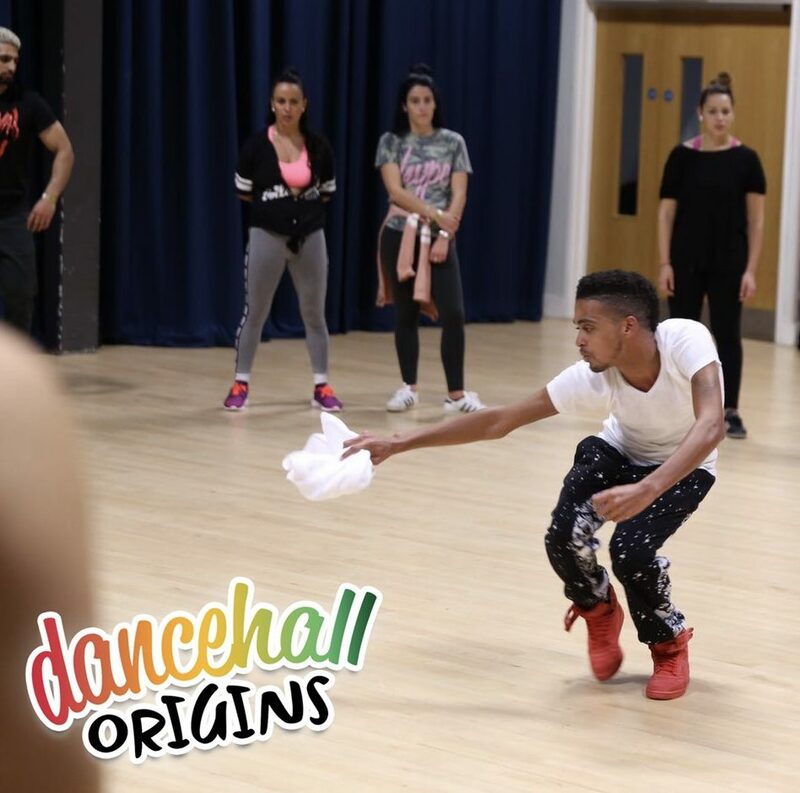 Dancehall Origins 5th Edition was the first time Famous Dancer had ever taught in the UK. 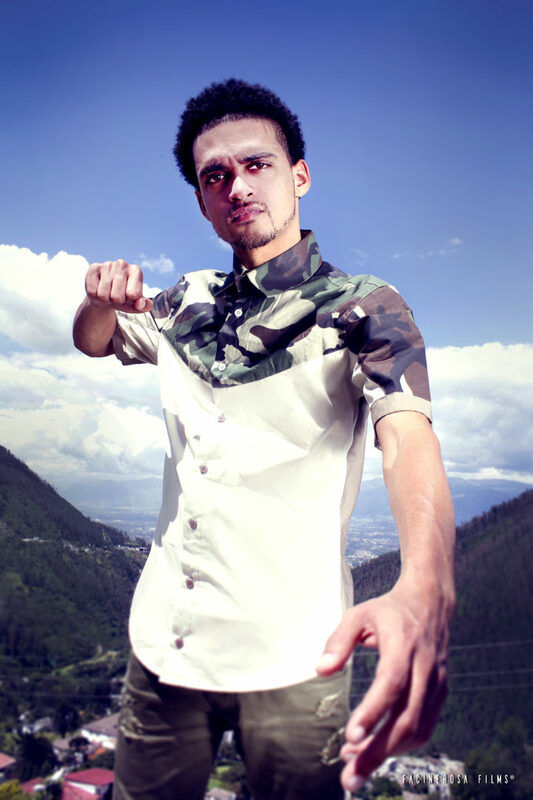 Jason Nembhard, aka Famous from the legendary Colo Squad crew, is a renowned dancer from Kingston Jamaica. Specialising in in Old/Middle Skool Dancehall, he has travelled the world sharing his knowledge and talent. He has created a number of popular steps, including: Ash, Rubba Bounce, Easy Skank and Famous Flow. 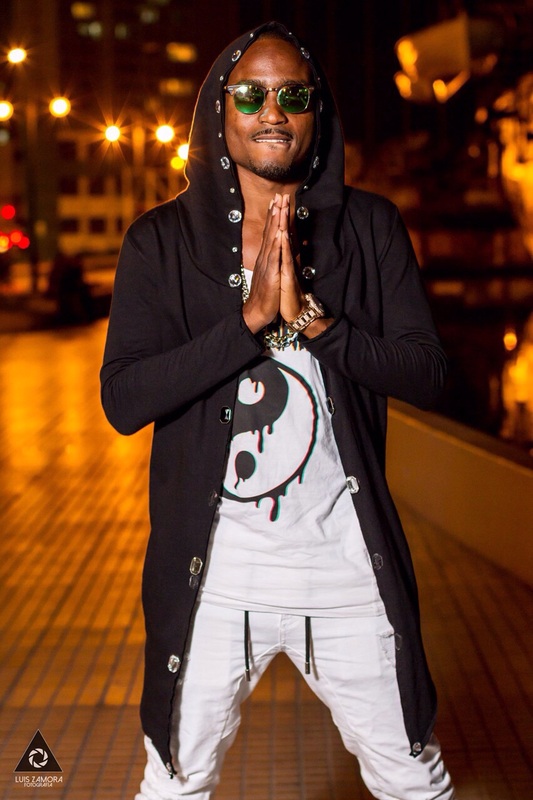 Famous is Official Dancer for the incredible Chi Chi Ching and has featured in music videos for artists such as Beenie Man, Major Lazer, Elephant Man, RDX, Busy Signal, Mr Vegas and more. 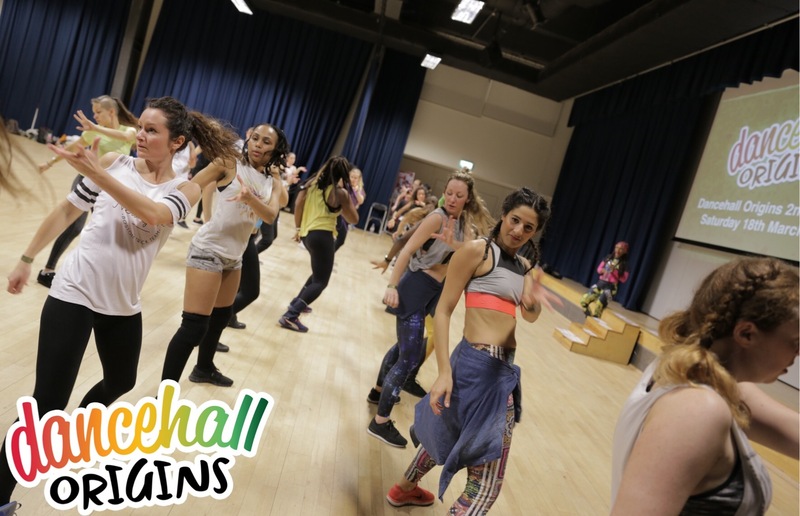 Dancehall Origins 5th Edition was the first time Dancing Rebel had ever taught in the UK. Christina Nelson aka Dancing Rebel is one of the most popular female dancers from Kingston Jamaica. 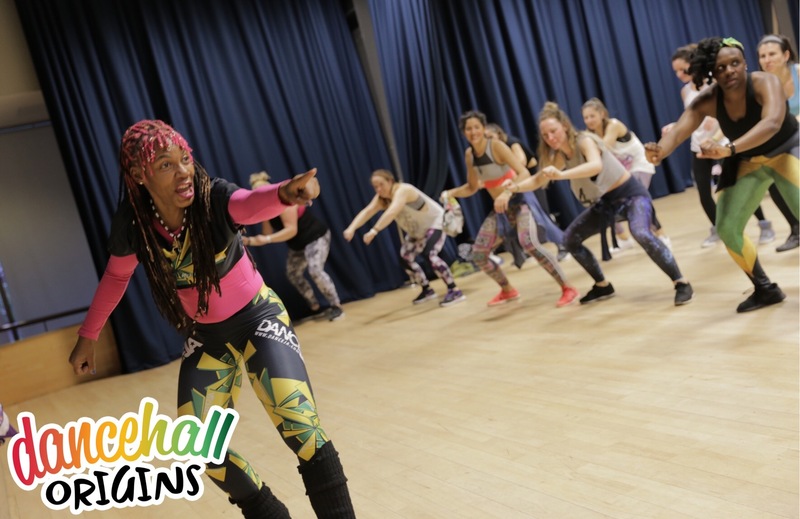 Specialising in New Skool and Female Dancehall, she has travelled the world teaching sell-out classes and judging competitions sharing her energy and skill. Since 2016 she has been a member of #teamSpice, choreographing and performing in her music videos and supporting her tours around the world. Check out her Instagram page here. 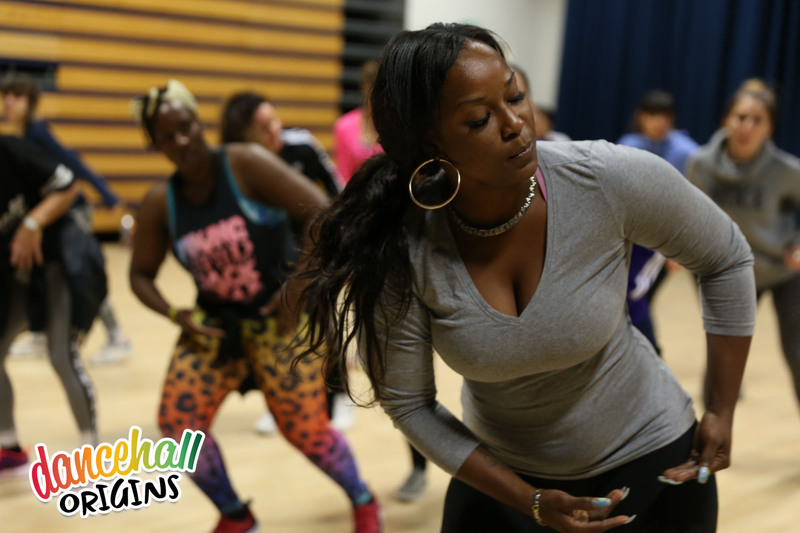 Dancehall Origins 3rd Edition was the first time Latonya Style had ever taught in the UK. Latonya Style is undeniably one of Jamaica’s most renowned and distinguished Dance Instructors. Her objective is to preserve, promote and protect authentic Jamaican Dancehall. She is the founder and Chief Executive Officer of Dance Jamaica (DanceJa Movement) a Talent/Entertainment Organisation which portrays the culture of Jamaica and its vibrant people. Dance JA facilitates the training and development of Jamaica’s local talent, as well as providing an environment that uplifts Dancehall dance techniques. Ms. Style has worked with key artists, including: Sean Kingston, Cecile, Mr. Vegas, RDX, Elephant Man, Sizzla, Patra, Spice, Beenie Man, Charly Black, Aidonia, Busy Signal and many more. 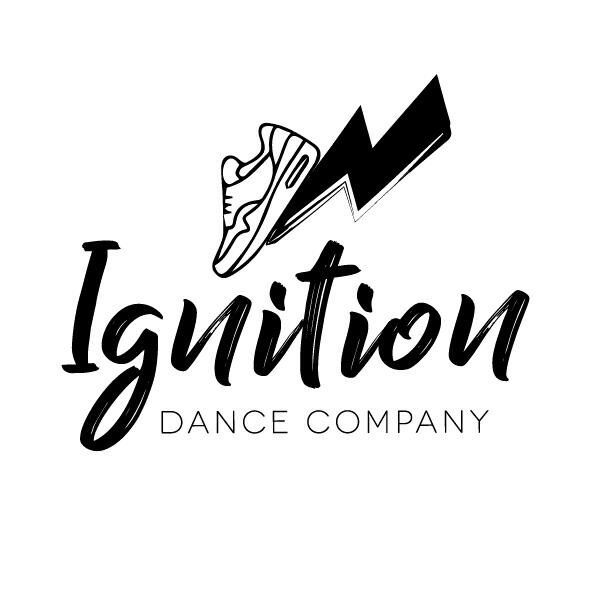 Check out Latonya’s Instagram and the Dance JA YouTube channel. 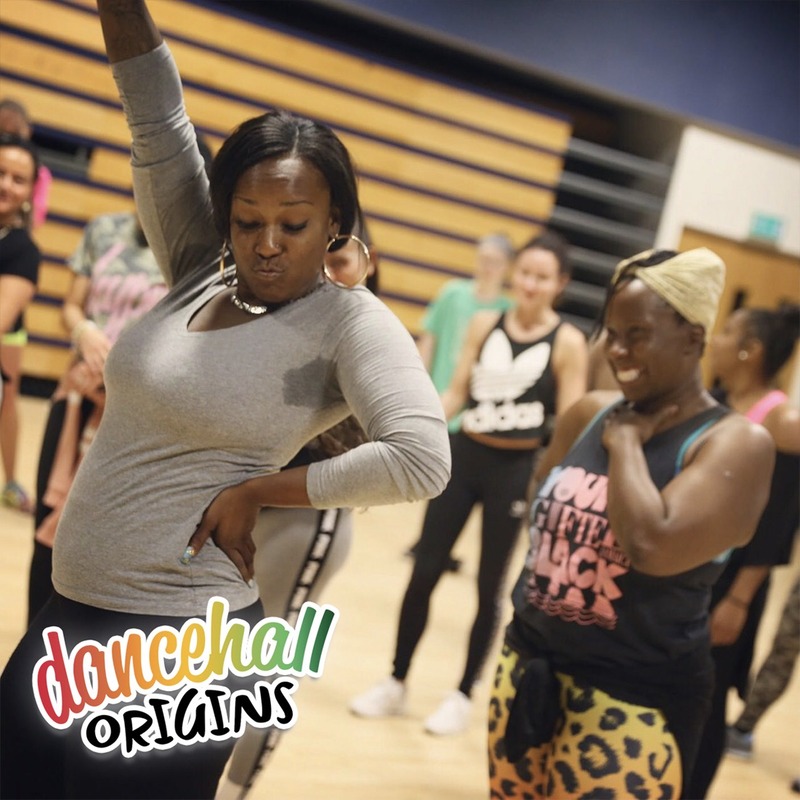 Dancehall Origins Special Edition in September 2017 was the first time Stacy Xpressionz had taught in the UK. Stacy-Ann Facey is a founding member and principal dancer of world renowned Dance Xpressionz. She holds an Associate Degree in Performing Arts and is a proud Dancehall Specialist. In 2010, Stacy was appointed Production Manager for Dance Xpressionz. She is also an original member of #teamspice, undertaking promotion and overseas tours to critical acclaim. Dancehall Origins is proud to be the exclusive host and promoter for Global Bob in the UK. After organising his first ever UK workshop and lecture in October 2016, we were thrilled to invite him back to London for our 2nd Edition in March 2017. He returned to London by popular demand for our 3rd Edition in November 2017. 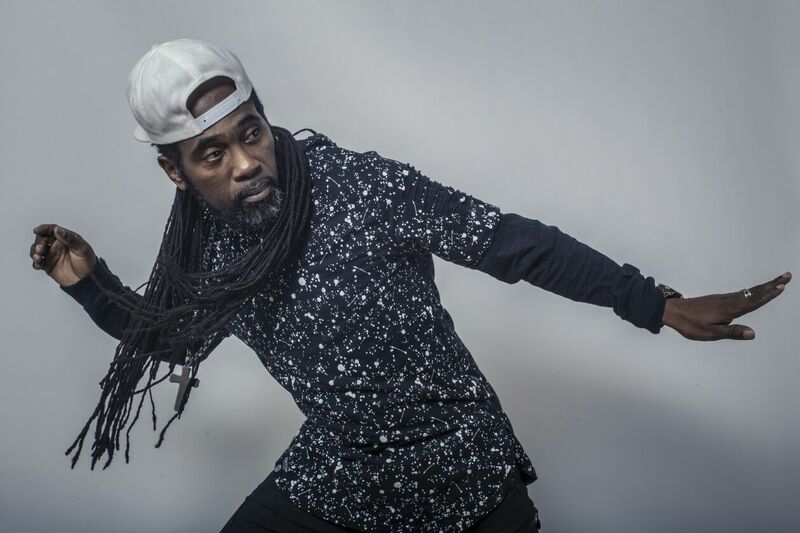 Born and raised in Kingston Jamaica, Chad ‘Global Bob’ Torrington has forged an international career in Dancehall, performing cultural duties in over 20 countries around the world. Celebrated for his grooving style, encapsulating the spirit of his mentor Father Bogle aka. Mr Wacky, Global Bob was given his first stage name ‘Dancer Spongebob’ by Bogle himself. 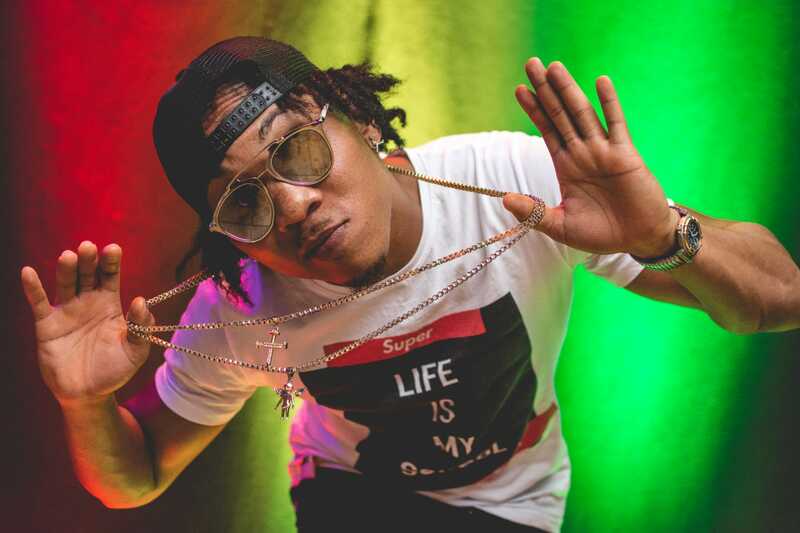 Global Bob has appeared in music videos for top artists including: Voicemail, Konshens, Mr. Vegas, M.I.A, Versatile, Brick & Lace, Bob Sinclair & Dollar Man, Cecile and Murda Medley. Check out his Instagram page here and his YouTube channel here. 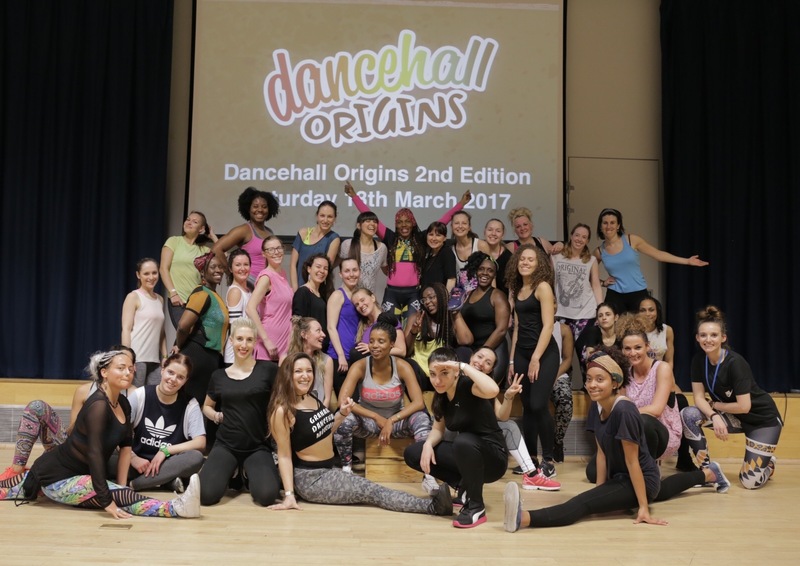 Dancehall Origins 2nd Edition in March 2017 was the first time Stacia Fya had taught in the UK. Stacia ‘Fya’ Edwards, born in Kingston Jamaica, is devoted to the street styles of dance. For more than a decade, she has been practising and teaching Dancehall, Reggae, Traditional and Afrocentric Dance and considers herself 100% street certified. 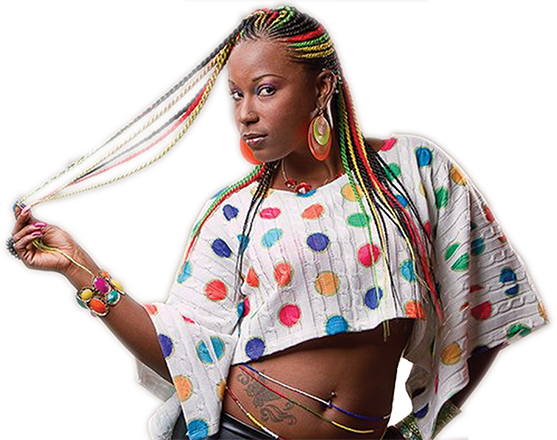 Stacia is the longest standing Female Dancehall Veteran and is the founder of the group Vibe Ihatas, who won the first Dancin Dynamite Competition in 2006. Stacia Fya has worked with key artists including: Patra, Shabba Ranks, Busy Signal, Bounty Killer, Sizzla, Cecile, Lady Saw, Gyptian and Nicki Minaj. 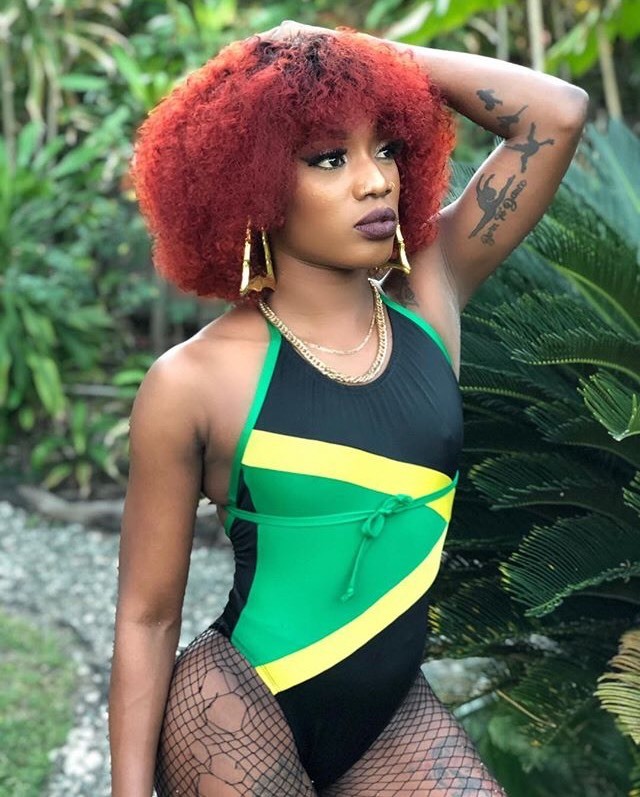 Stacia is one of the most sought-after dancers and choreographers in Jamaica and has developed her own concept called ‘Confidence Dancehall’ to empower female dancers. She is a key member of Dance JA and shares their unified mission to educate the world about Jamaican Dancehall while preserving its authenticity. 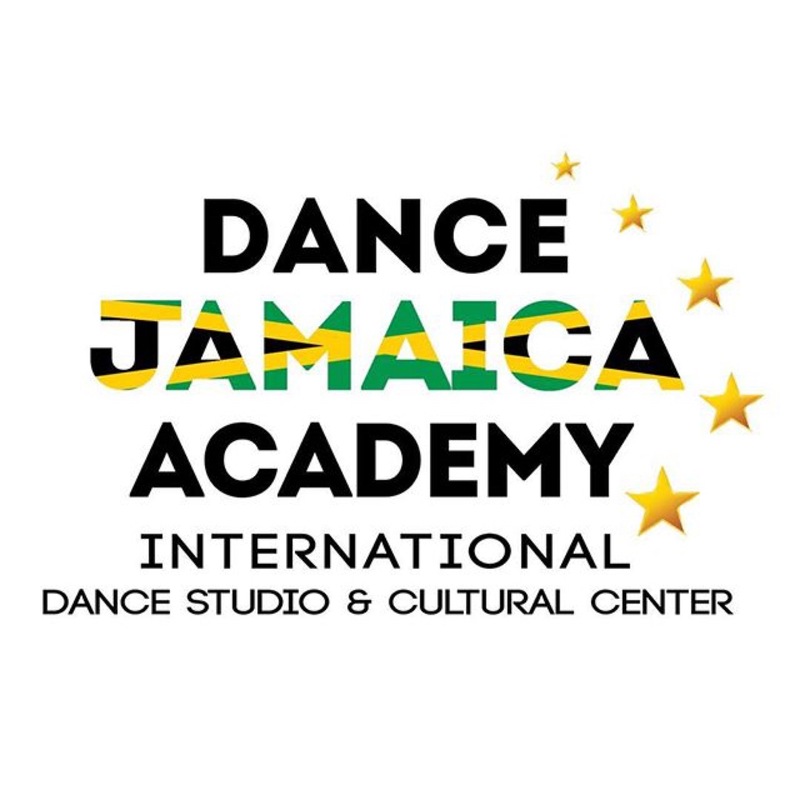 Check out the Dance JA YouTube channel here. 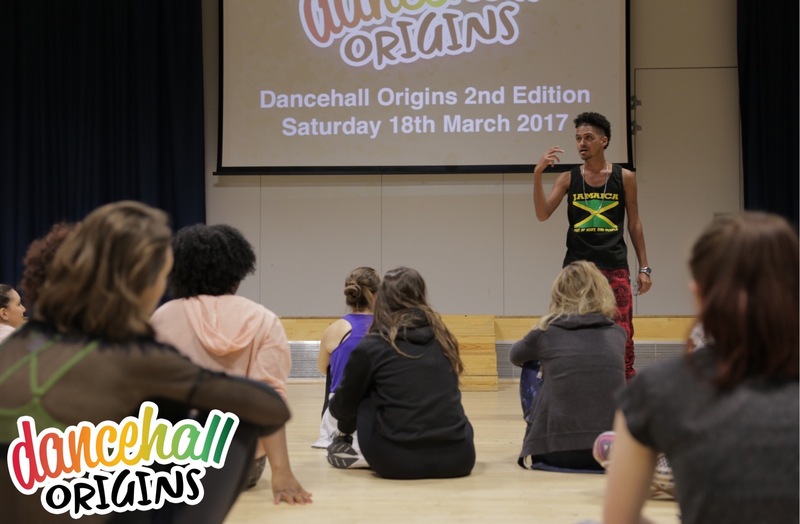 Dancehall Origins was excited to invite Crazyhype to London for our 2nd Edition in March 2017, nine years since his last workshop in the UK. Michael ‘Crazyhype’ Graham, was born in St. Catherine Jamaica then moved to Kingston, where he met the Legend Mr.Wacky – who welcomed him into the Dancehall world. 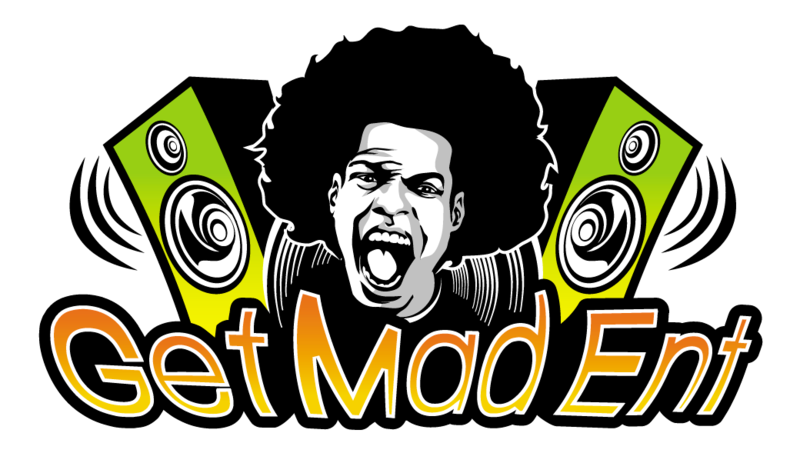 Bringing new creative ideas to the Dancehall scene, Crazyhype is considered a Dancehall Pioneer. He is Founder and CEO of M.O.B. (Men Of Business) Dance Group, which now consists of Crazyhype, Cojo, Cash, Tom and Unknown. In 2007 the group (M.O.B) entered the JCDC World Reggae Dance Championship and came out victorious, after which Crazyhype and M.O.B became household names across Jamaica. Crazyhype has shared Dancehall culture around the world including Brazil, Russia, USA and across Europe. He has appeared in music videos for renowned artists including: Shaggy, Cecile, Major Lazer, M.I.A, Pharell Williams, RDX, Future Fambo, Elephant Man and Oceana. Check out his Instagram and Youtube channel. Our 1st Edition took place in Chalk Farm, London with invited artists Global Bob and Shelly ‘First Lady’ Xpressionz direct from Jamaica. This was the first time either artist had ever taught in the UK. 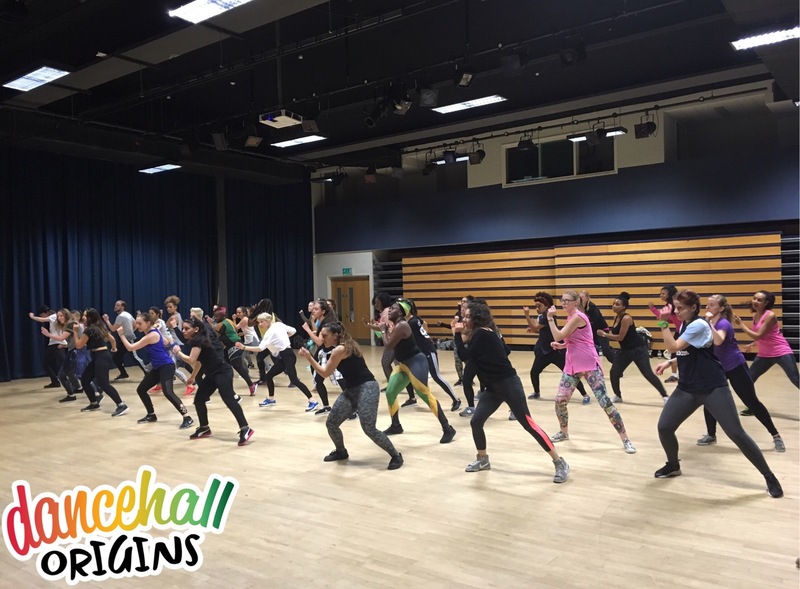 Global Bob began the day with a 1.5hr workshop, taking us back to old skool Dancehall with steps including urkle, zip it up and world dance. This led us on to a 45min lecture led by Global Bob, sharing insight into Dancehall history and culture based on his own research and lived experiences in the Dancehall space. Shelly Xpressionz closed our first event with a 1.5hr workshop for females only. She discussed the changing relationships between men and women in the Dancehall space, shared old skool steps including water pumpee and go go whine, before taking us to present day with her latest choreography for female Dancehall musician Spice. Check out our highlights video below! Our 2nd Edition returned to Chalk Farm in North London and was a clear development from our first event in October 2016. 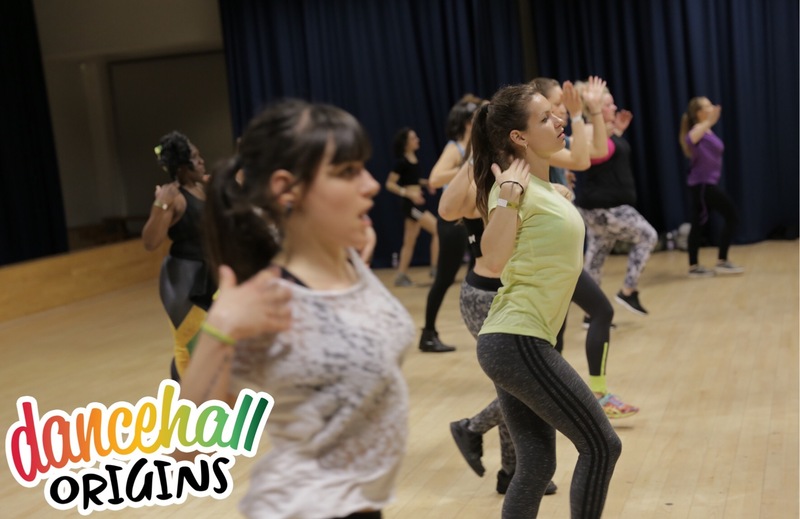 Building on this success, we saw an increase of 49% in participant numbers, we had Dancehall on the Big Screen and we were able to connect with more teachers/instructors – some travelling from Sheffield, Birmingham and even Italy to take part. Global Bob started the day with a 45min lecture, setting the tone for the day by sharing cultural knowledge – rooted in Dancehall Origins’ core values. After this came three high-energy workshops, one each by Global Bob, Crazyhype and Stacia Fya, all eager to share and accurately represent Dancehall culture – taking the participants on a unique journey to enhance their knowledge, understanding and appreciation of the form. Global Bob led us through old skool Dancehall, Crazyhype focused on his new skool steps, and Stacia Fya led a females-only workshop that began with mento and dinki-mini, going on to skanks, before introducing us to her ‘Confidence Dancehall’ technique. Our Special Edition took place in Chalk Farm, London with invited artist Stacy Xpressionz leading her first ever UK workshop. 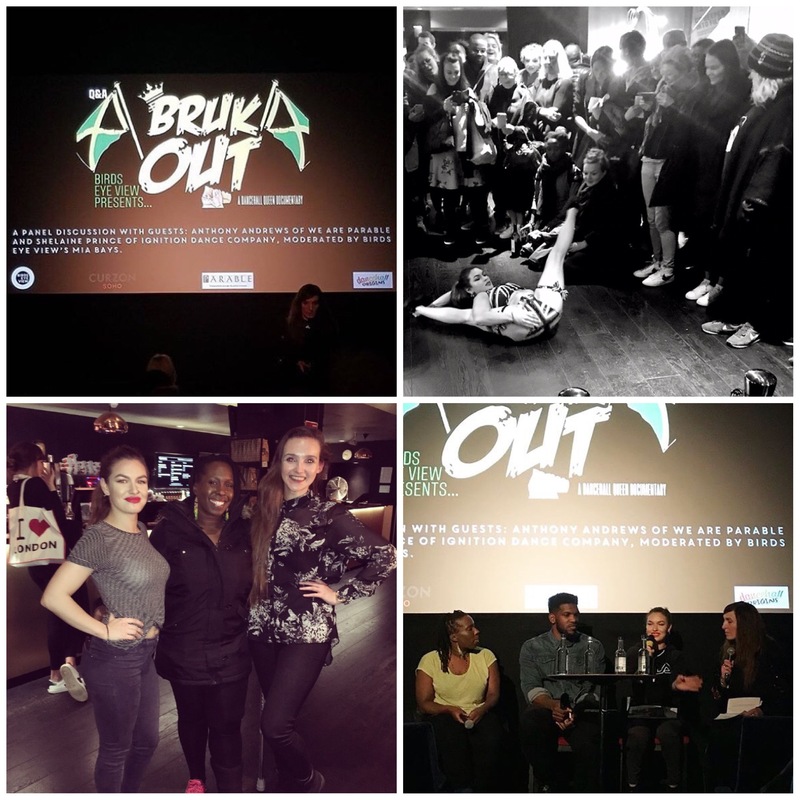 We were excited to work with Birds Eye View Film on the post-screening activity for ‘Bruk Out, A Dancehall Queen Documentary‘ at Curzon Soho. The evening included a brilliant and insightful Panel Discussion with Anthony Andrews of We Are Parable and Shelaine Prince of Ignition Dance Company PLUS a jaw-dropping performance from DHQ Hanna Braveheart followed by music from DJ Chloë Dees. 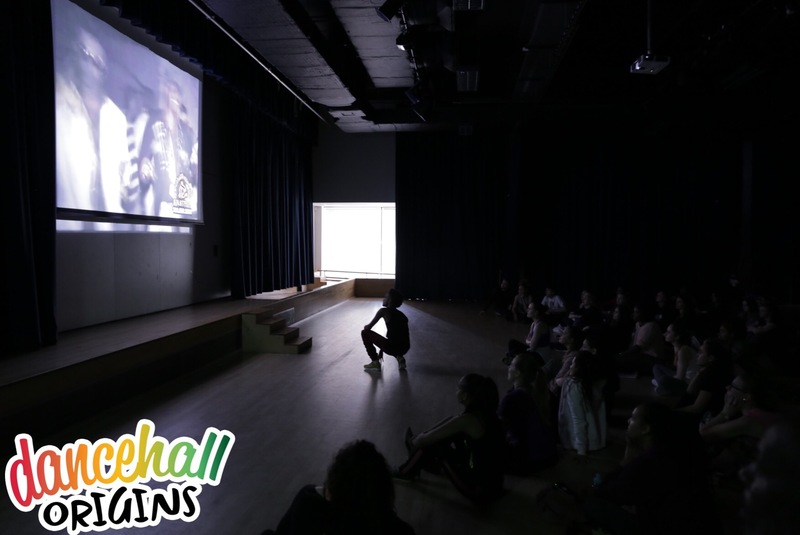 Big thank you to Mia of Birds Eye View Film and Michael of Curzon for creating this platform to share part of Dancehall’s story, and for inviting Dancehall Origins to help ensure the screening was connected to (and showcased) the UK scene. 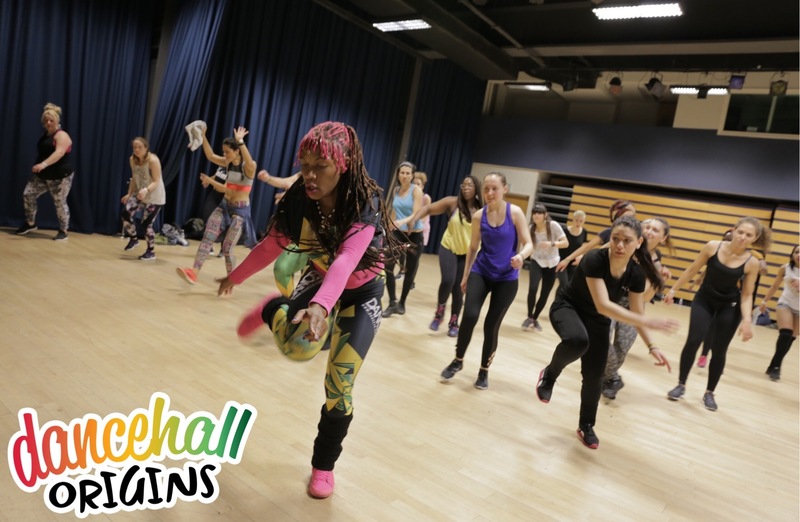 Our 3rd Edition took place in Chalk Farm, London with invited artists Latonya Style (leading her first ever UK workshop) and Global Bob – back by popular demand. After this, Latonya guided us through basic principles of female steps, right up to her own ‘Stylish Moves’ – spelling L.O.N.D.O.N with her unique choreography. Global Bob kept things old skool, sharing invaluable knowledge, but gave a whole new energy we’d never experienced before! Five hours of Dancehall excellence! Check out our highlights video below. We were thrilled to present another screening of Bruk Out! 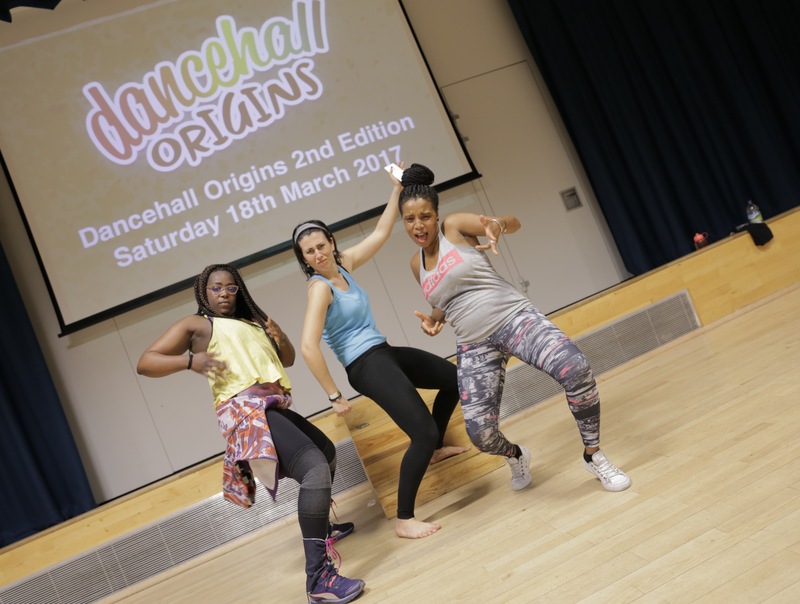 A Dancehall Queen Documentary in London, this time working with Screen 25 to programme the evening, which featured a special Dancehall class with Ignition Dance Company plus a Q&A with IDC and Dancehall Origins – focusing on women in Dancehall and the UK scene. 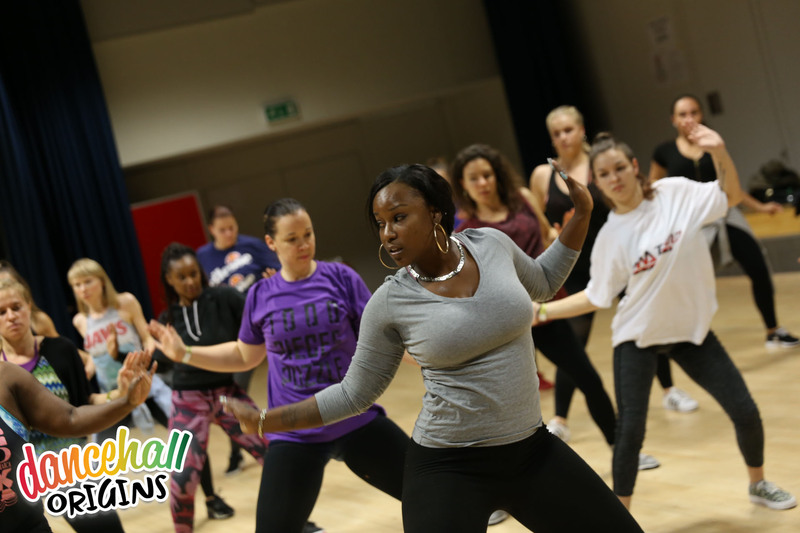 Our 4th Edition took place in Chalk Farm, London with invited artists Orville Hall (leading his first ever UK workshop) and Shelly Xpressionz – back by popular demand. We started the day with a 1hr lecture by Orville on the origins and evolution of Dancehall, setting the tone for the day by sharing cultural knowledge – rooted in Dancehall Origins’ core values. 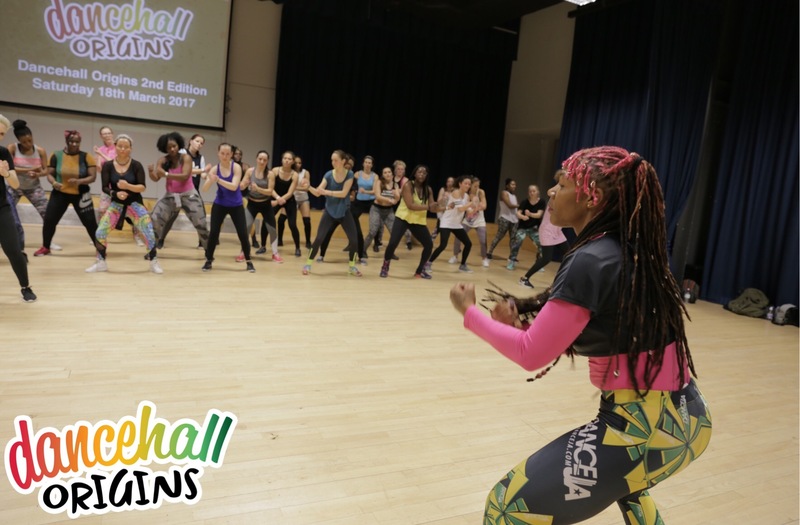 After this, Shelly led a “Female Fierceness inna Dancehall Style” workshop, focusing on the power and importance of the whine for female dancers. 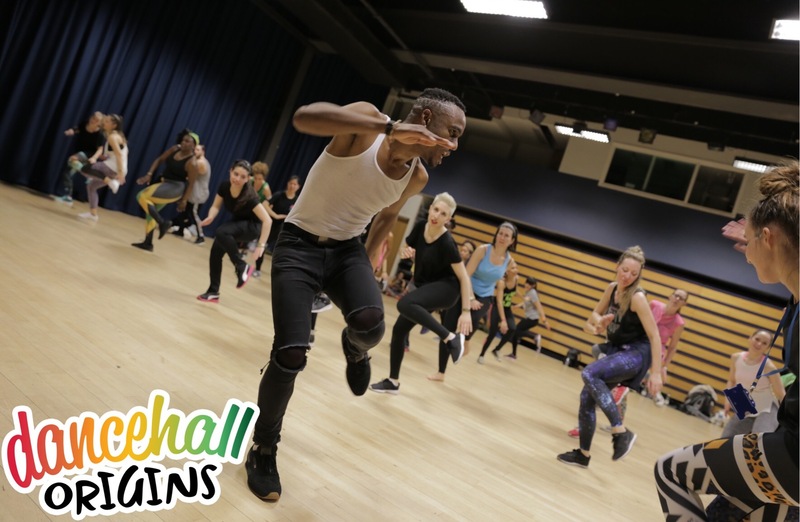 Next, Orville’s class “From Den ‘til Now” included current popular steps such as Hectic Dymondz ‘Walk’ and Dansa Bling’s ‘Top Dat’ right back to ‘Step Ova’, ‘Bogle’ and so much more – with incomparable energy! To close the day we had Shelly and Orville together, demonstrating how to adapt male steps to include female energy in the Dancehall space, as well as correcting common mistakes and exploring choreography. Over six hours of Dancehall excellence! Check out our highlights video below. Early in September, we were approached by Jamaica Tourist Board UK to arrange a Dancehall performance at Travel Weekly UK’s annual Northern Ball. JTB were a headline sponsor for the event, and wanted something that would celebrate and showcase Jamaican Culture to the audience. Five brilliant dancers stepped up to be involved: Adrian Ashdon Smith, Kaderoy Wildon, Marlon G Gordon, Marisse MissRose Dyer and Rashida Zion who created something fun, relatable, with plenty of VIBE! We had a great time and can’t wait to see the professional footage. HUGE THANK YOU to the dancers for their energy and to Jamaica Tourist Board for inviting Dancehall Origins to be involved. 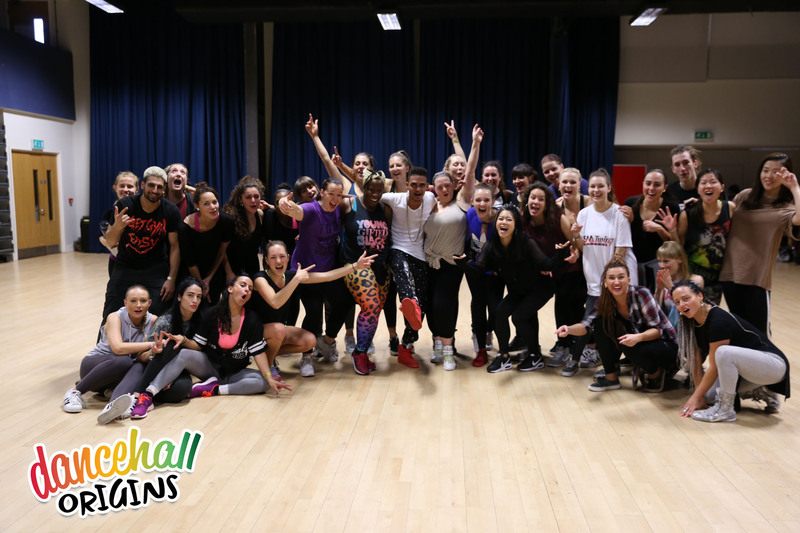 Shelly Xpressionz and Global Bob teaching for the first time ever in the UK. This will be a day I shall never forget in my Dancehall journey. Today’s sharing by one of the best in my personal opinion. The sharing of roots, foundation of JA culture and knowledge about some of the most epic dancers/leaders in Dancehall provided by this King Global Bob. Thank you for the intimate knowledge. It was an honour. 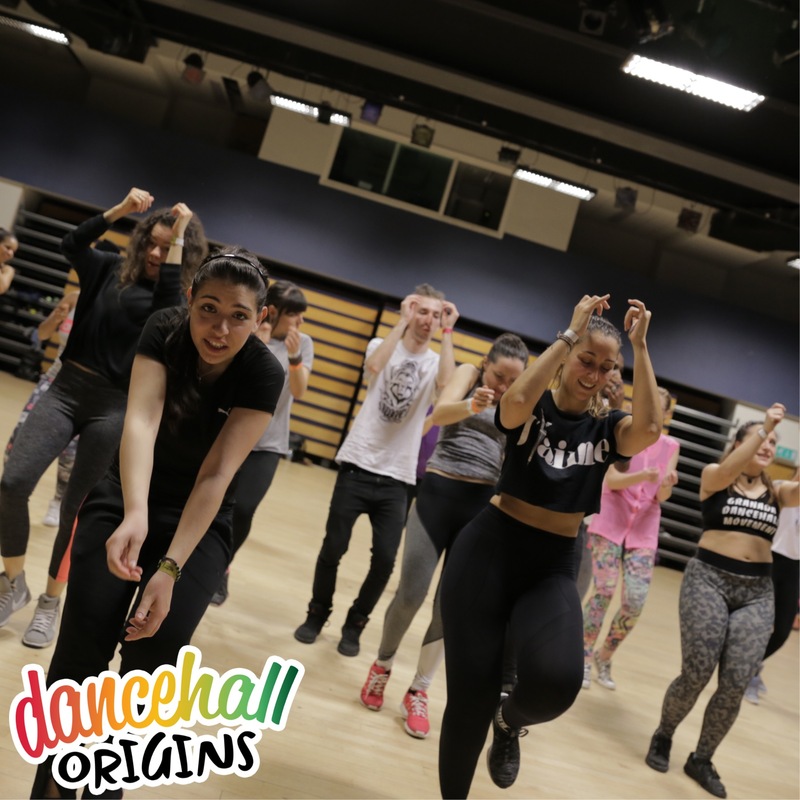 Dancehall Origins is excited to make connections with artists and organisations in London, across the UK and beyond. 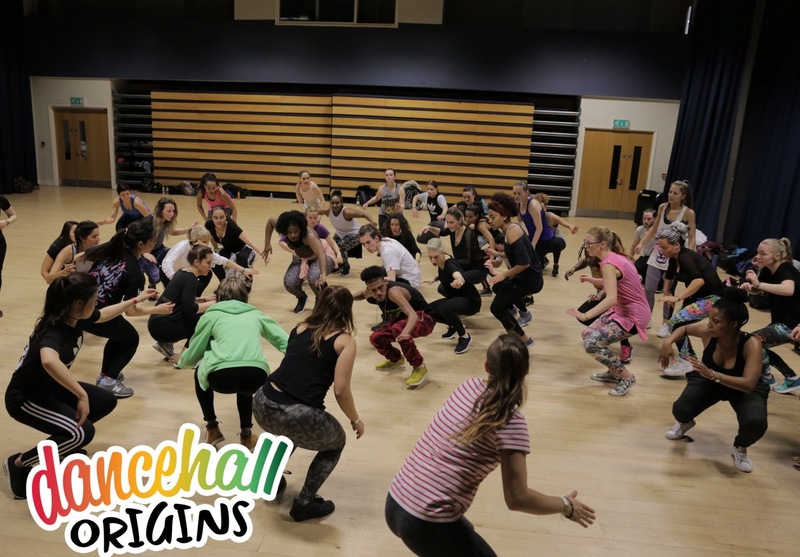 Dancehall Origins receives regular enquiries about where to train while you wait for our next event. 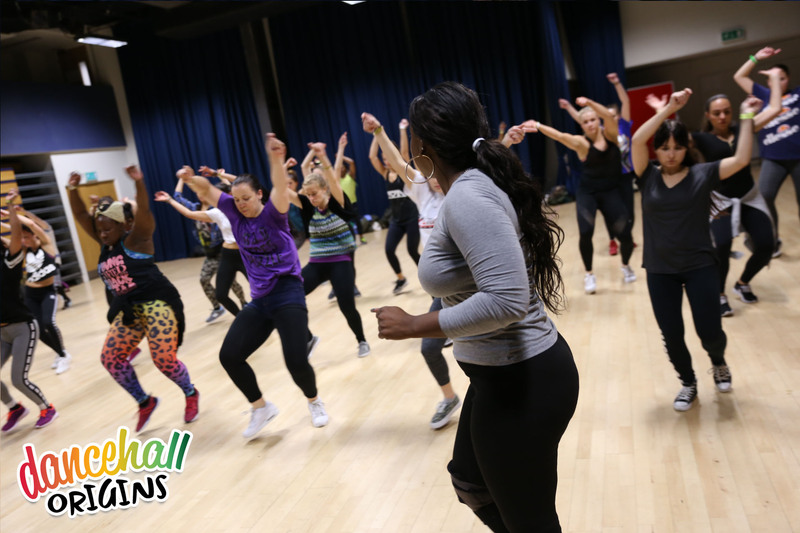 Why not check out regular, weekly classes taking place across the UK? Please note, none of the above classes are taught or managed by Dancehall Origins. Please contact individual teachers/studios (using the links provided) for confirmation of styles, dates, times, locations and prices. These are classes we are currently aware of, do you know of any others? If so, get in touch and we’ll add them here. 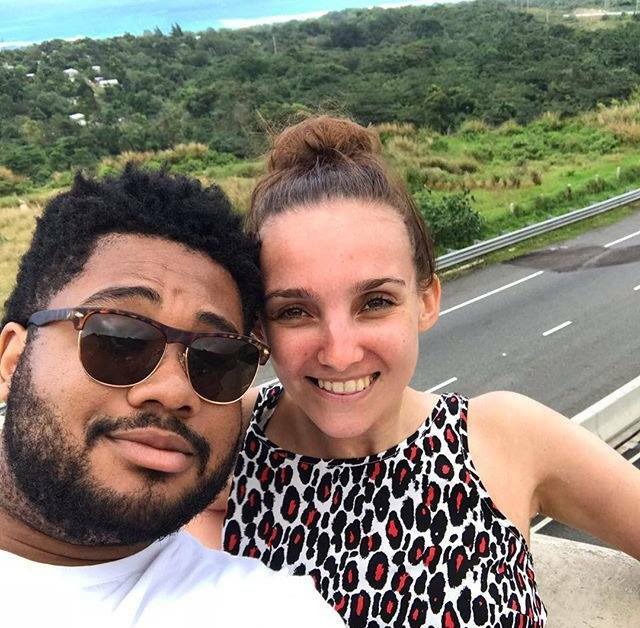 Emily and Tashon co-manage Dancehall Origins. Emily is responsible for the creative vision of DHO: everything from planning, communicating with artists and their managers, booking the venue, arranging flights/travel/accommodation, hosting the day, editing the video footage and pretty much anything else you can think of! Tashon is responsible for event logistics, our marketing strategy, brand design, photography and filming – everything and anything to do with digital media. We are supported on event days by brilliant volunteers Jess, Joanna and Sayak. Want to find out more? Support us? Add a testimonial?